It is with a great sense of nostalgia that I write this foreword. 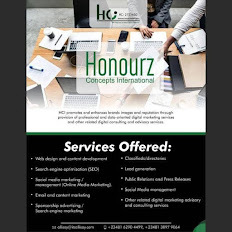 Especially because, from time immemorial the capacity of man has been adjudged by his height, weight or even more ridiculously, by the colour of his skin, yet all these things have nothing to do with the elasticity and capacity of his mind. I marvelled when the world’s most renowned neurosurgeon Ben Carson said we cannot overload the human brain. This divinely created brain has fourteen billion cells. According to him, one human brain can contain the entire knowledge of humanity from the beginning of the world to the present…the difficulty does not come with the input of information, but getting it out… This surmises the need for keys to unlock our thinking faculty for results and solutions. 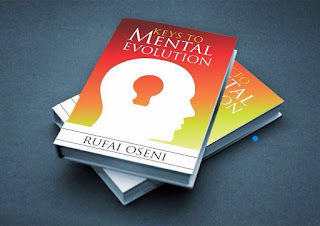 Divided into five chapters the book - Keys to Mental Evolution is an undiluted repository of information. Chapter one lays a foundation about the minds elasticity, while Chapter Two teaches how to discipline our thoughts from becoming a wild fire in harmattan, Chapter three reveals the capacity of the mind while Chapter four is perhaps the most interesting as it tells the story of two protagonists; JUDE and INNOSON alongside the true meaning of the word HISTORY. Chapter five, takes the reader on a journey from identifying a problem to deploying minded steps towards solving them. The latitude of The Keys to Mental Evolution does not in anyway underscore the aptitude of its contents. Indeed our mind can be an asset if stretched to good use or a liability if it only houses the chambers of fear and doubt. This thoroughly researched book that challenges everyone to their feet, is both scientific in research and philosophic in opinion. Knowing that the biggest battles are fought in our minds, I recommend this book to every one without exception. It will teach you what you never knew, remind you of what you already know and amplify what you have believed. Like all keys, The Keys to Mental Evolution will only open doors you copiously use them on. And what if you fail after trying? Just remember, the winner is the loser who refused to give up.